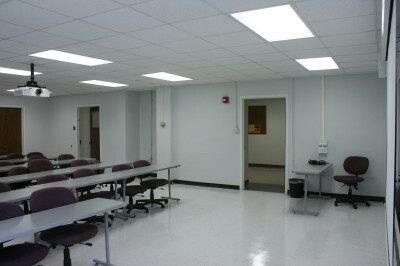 The Umberger 105 (Williams Auditorium) classroom is undergoing a major renovation. Periodic updates will be provided throughout the summer. 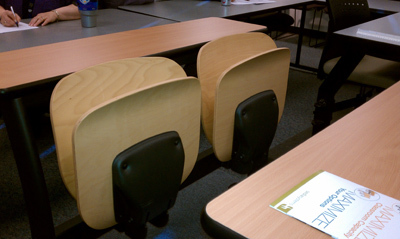 An October move-in date is anticipated for the new space. Last weekend the construction crew began demolition. 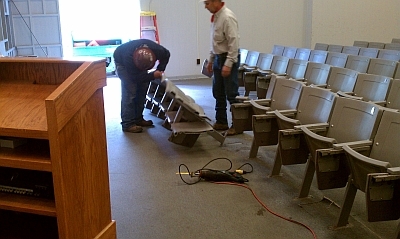 The technology was pulled, and chairs are being removed (see photos below). 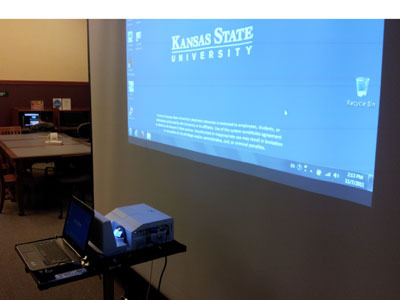 Dell Product Roadmap presentations are scheduled 1-4 p.m. Thursday, Dec. 16, in Room 207 of the K-State Student Union. Dell representatives will share exciting new opportunities, partnerships, and enhancements to Dell product and services that have been unveiled in the last few months. Jeff Cannon, Dell account executive, will also be on hand to assist and answer questions. You can now access some of the conference resources including PowerPoint presentations, podcasts, streamed sessions, and a social media summary. Although not all sessions are available, it is hoped you will be able to benefit from this resource. 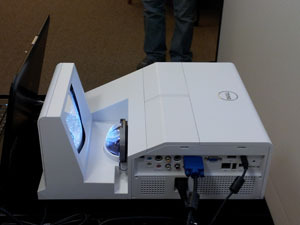 The Information Technology Assistance Center at Kansas State University is seeking the best individual to fill the position of Computer Information Specialist. The individual in this position will work with a team of full-time staff and students on technology classroom design, installation, maintenance, and repair during the evening hours of 1-10 p.m.